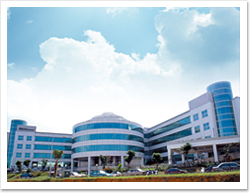 Mustek Systems Inc. is located in Hsinchu Science Park, Taiwan and was founded in 1988. Since then the company has specialized in OEM/ODM electronic products design and development, manufacturing and distribution of leading products worldwide. Mustek, which stands for "Most Unique Sensible Technology" means to make use of technologies in the most sensible way that are unique to our customers. Our goal is to provide a diverse selection of sophisticated products with advanced technologies for everyday use, and therefore our future work is to become an all-around digital imaging solution company, to provide a more complete product line and services to meet the diverse needs of our customers. Our main products include high speed ADF scanners, high speed A3 and A4 flatbed scanners, handheld scanners, personal photo scanners, iPhone and iPad docking scanners. Together, we are committed to teamwork and innovation that enables us to create products by combining the life sciences and electronic technology. Our products have gained worldwide recognition by receiving many awards and patents, which makes our products extensively praised by worldwide customers. For the sustainable development of the company, Mustek will continue to focus on high quality and high value products with advanced technologies to provide customers with more choices, thus for Mustek to maintain steady growth and remain profitable. In order to satisfy customer needs. 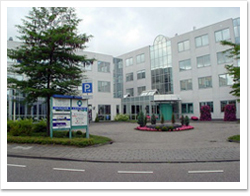 Mustek places a high priority on the development of its top quality products and services by working through our subsidiary offices and our worldwide distribution networks. We gather in global marketing information on a day-to-day basis and this gives us a good understanding of market trends and competitions, thus allowing us to keep the leading position in the industry. As a leader of digital imaging technology development, we also work intensively with our partners, to increase worldwide market share and toward globalization. We are devoted to linking with a complete product line and marketplace, striving to satisfy our customer's needs in everyday life.